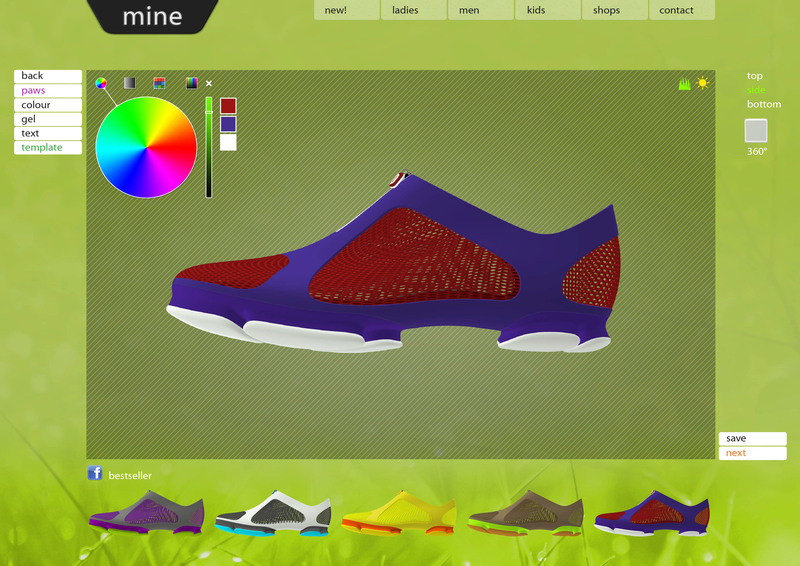 MINE is a customizing platform for 3D-printed shoes. 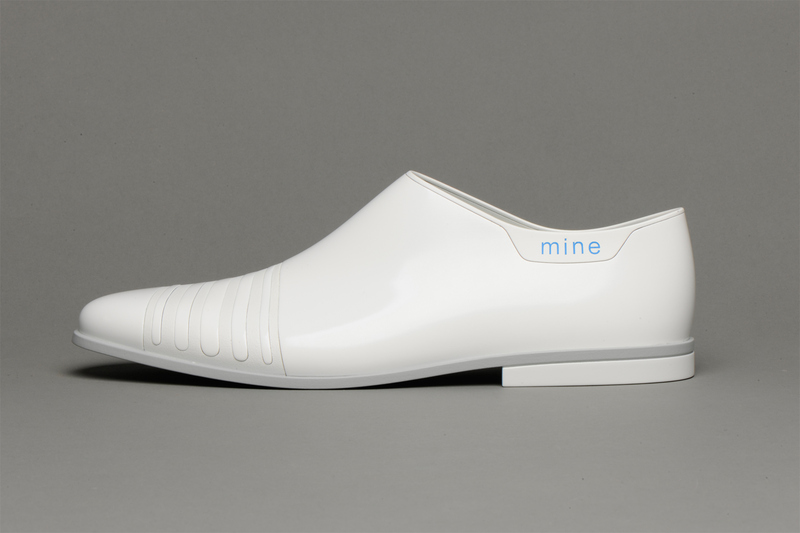 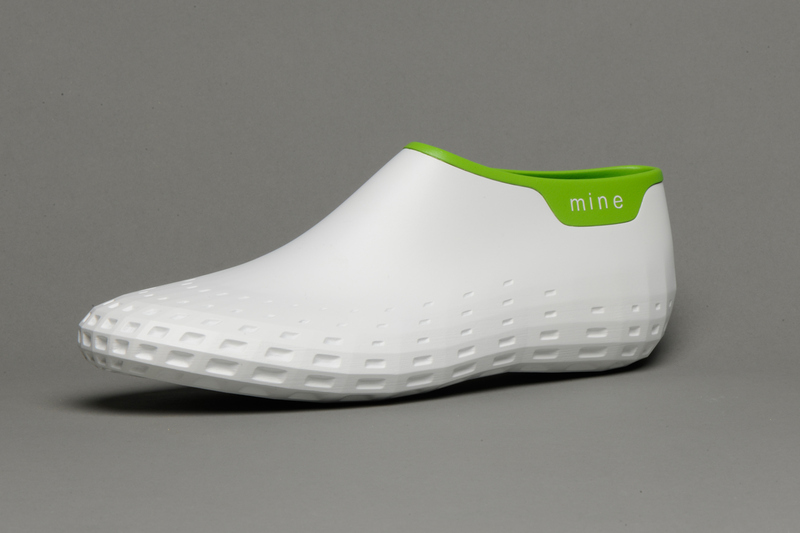 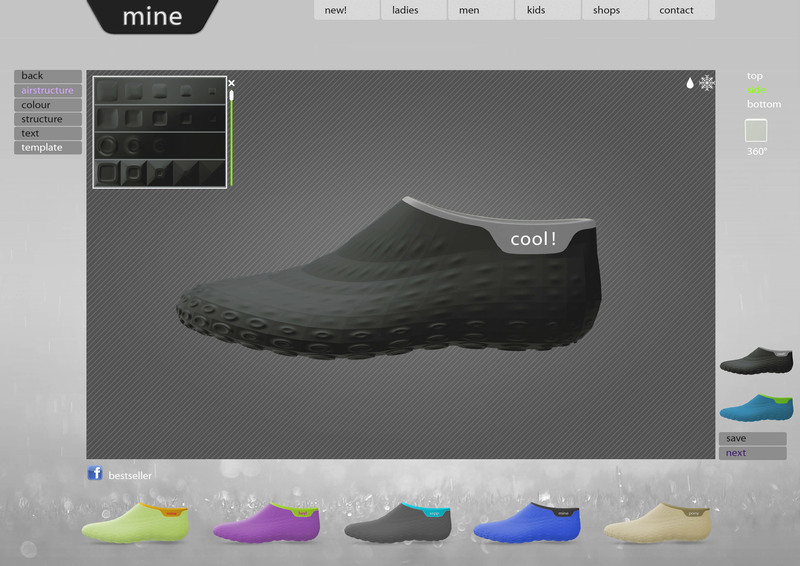 MINE is a shoe customizing platform for 3D-printed shoes. 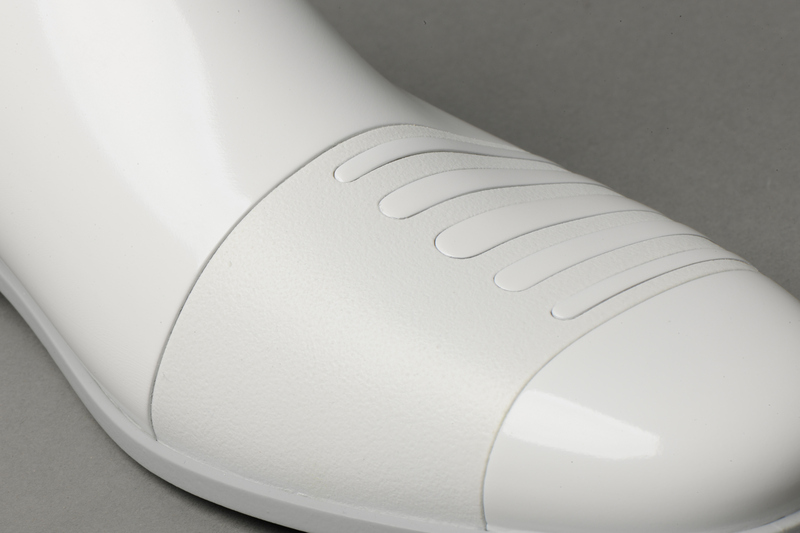 It gives a new customizing freedom like changing structures or using any existing colour, not just the pre-seted. 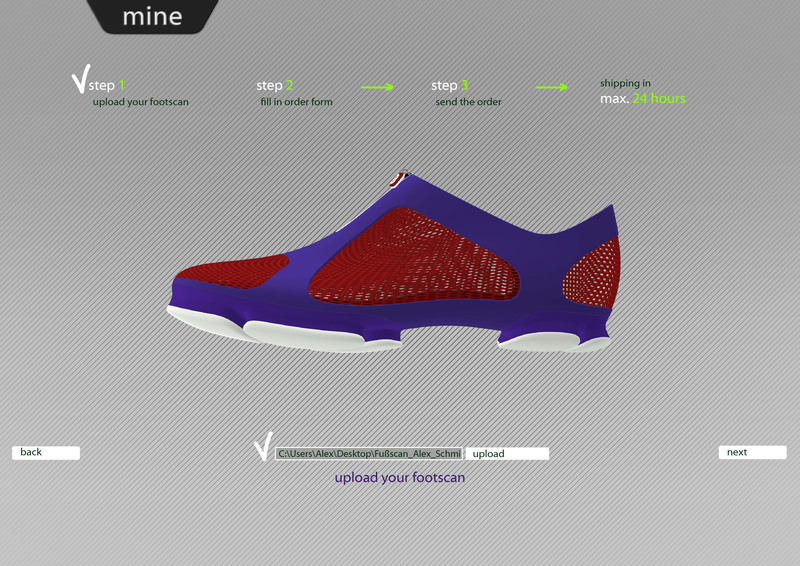 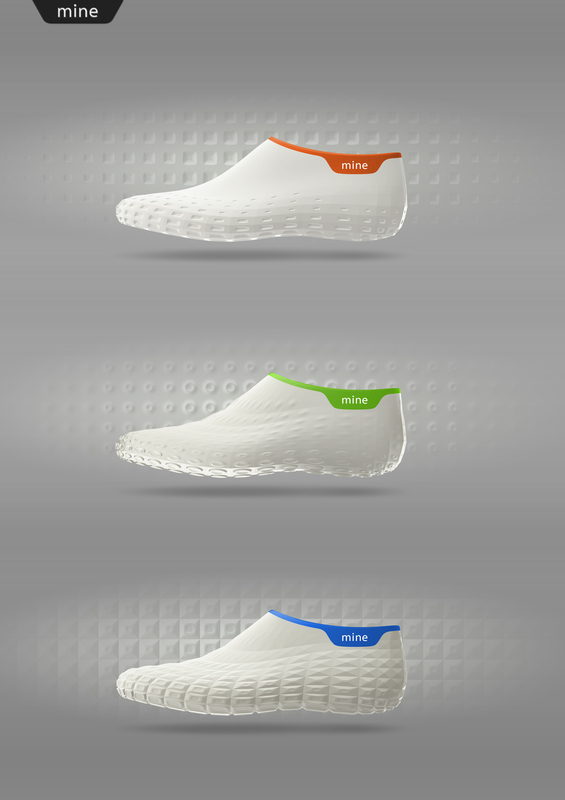 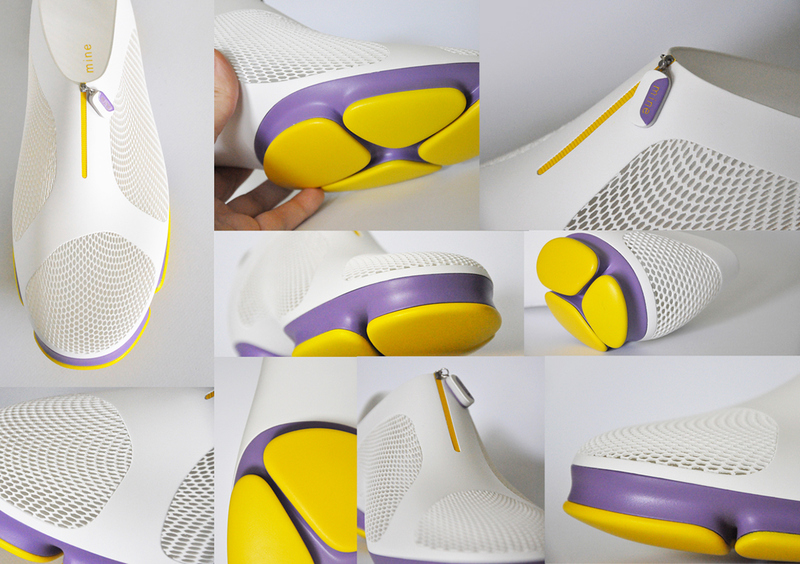 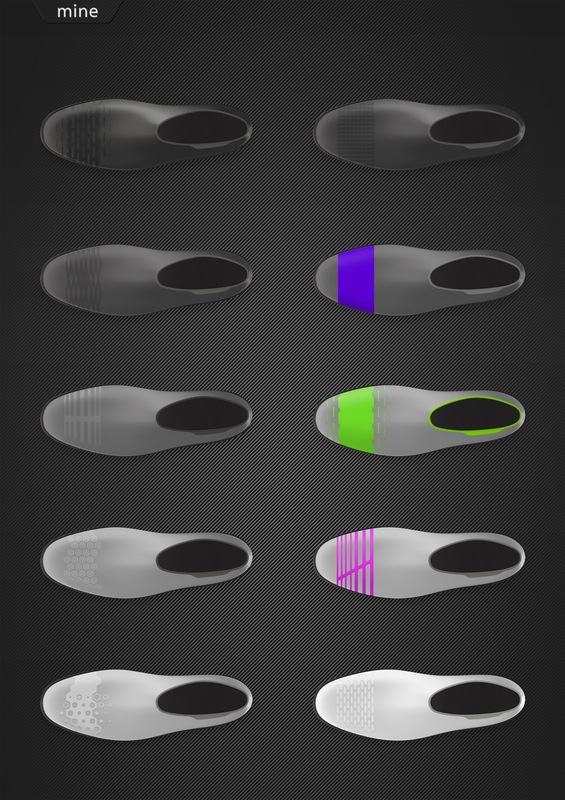 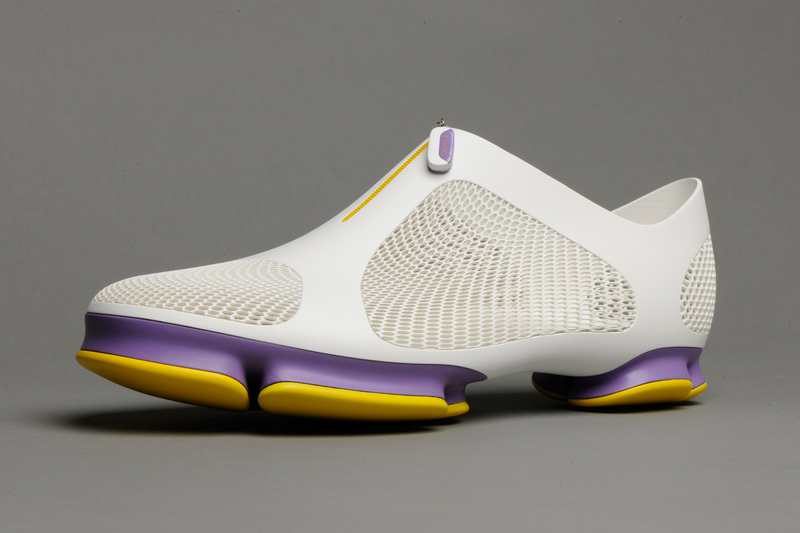 It also fits the individualized design to the digital footscan of the customer, so that the shoe fits perfectly. 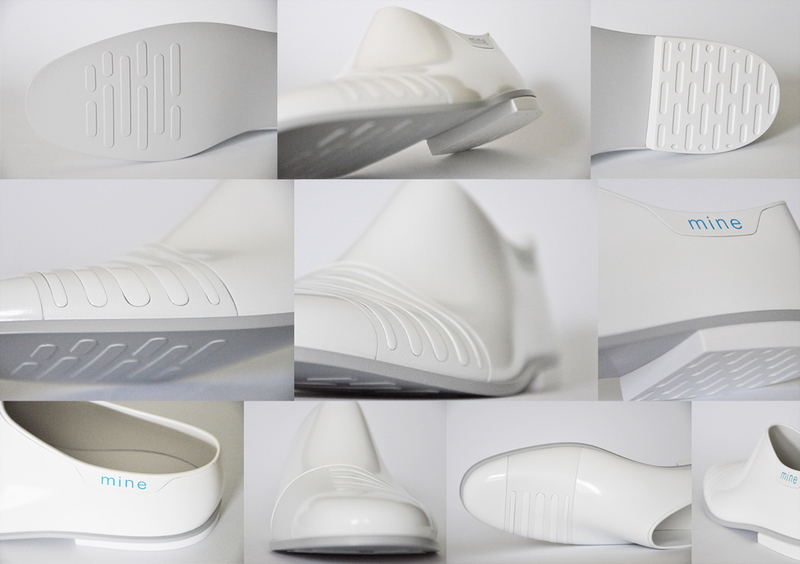 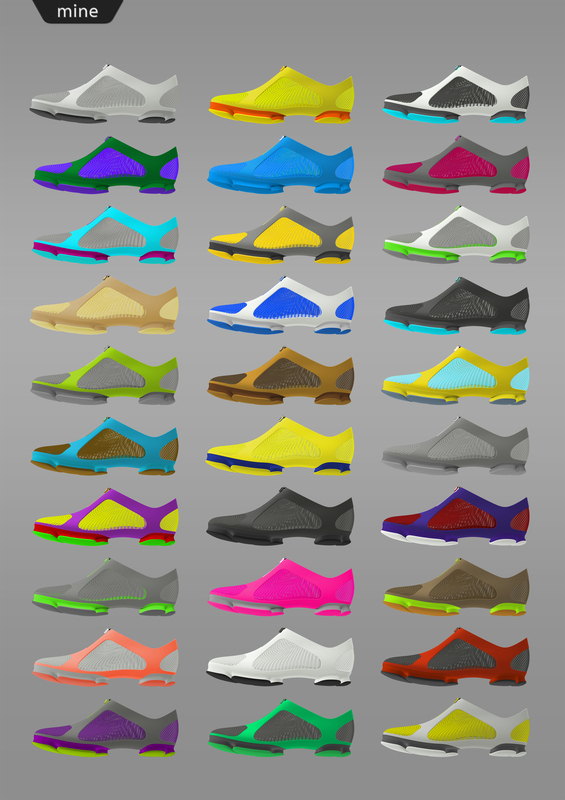 AirStructure is a light weight shoe inspired by parametric architecture. 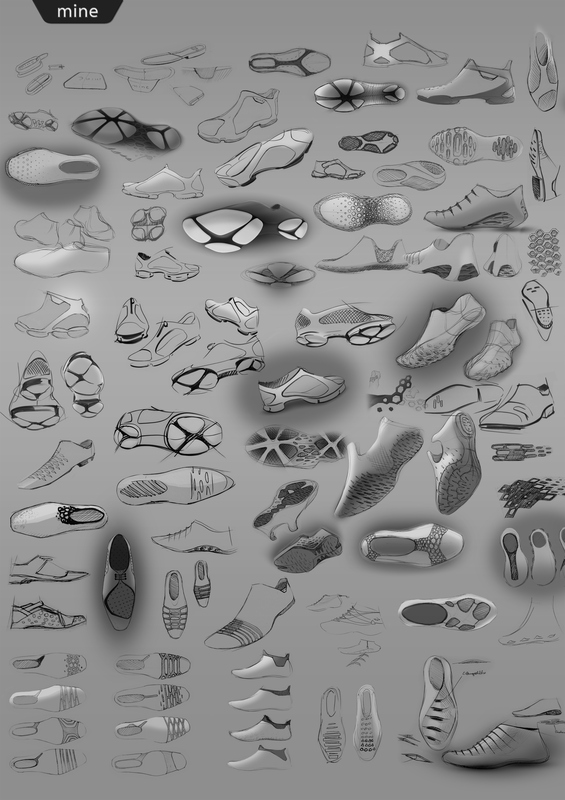 Inter alia the structure pattern can be customized. 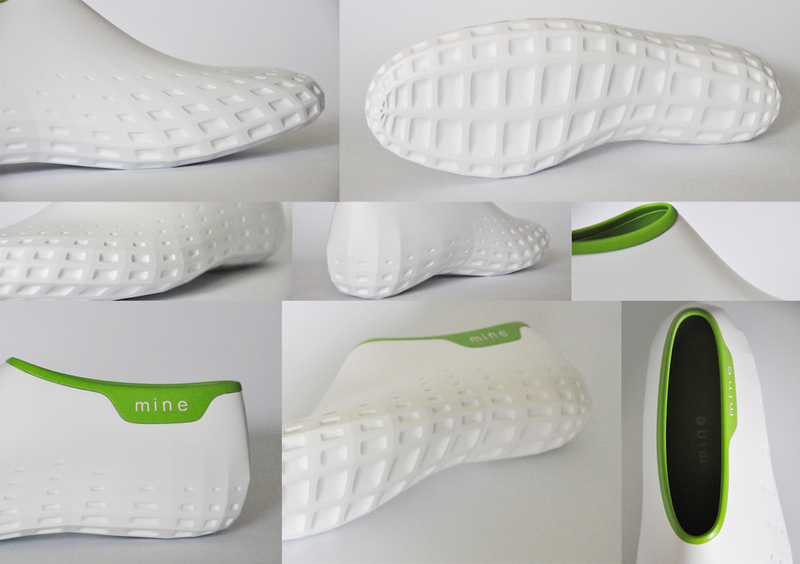 Paws is a layer-in-layer textile printed shoe with the gel "paws" for the barefoot feeling. 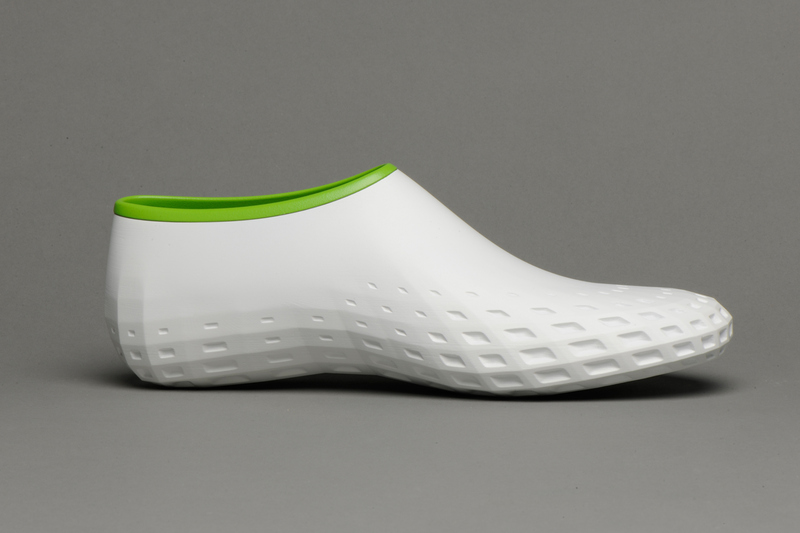 ClassiFix is a classic-shaped shoe with a flexible anti-frown area, the design of which can be chosen from a long list of graphics.